Bypass diodes in junction box allow optimum energy harvest in partial shading. A company that prides itself on providing a high level of customer service and technical support, Sunwize has been involved with the development and manufacturing of quality solar energy products and PV systems since 1992. 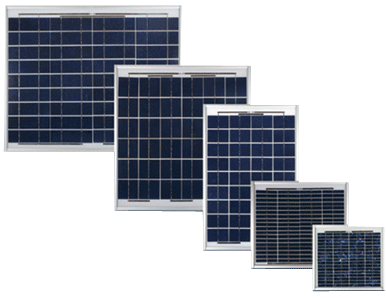 SunWize OEM modules are revered for their durability, and excellent efficiency ratios. Ensuring long life in harsh environmental condition, they feature a durable sealing method that encapsulates and bonds the solar cells to the glass in multiple layers of ethylene vinyl acetate (EVA) and laminates them with a white Tedlar™ backing. Strength and durability are reinforced with anodized, extruded aluminum frames, featuring predrilled holes. Bypass diodes in the modules' junction box guarantee peak energy efficiency in partially shaded conditions. SunWize modules are ISPRA certified to IEC 61215 standards and are FM approved for class I, division II hazardous locations. SunWize stands behind their modules with a 20-year 80% power output warranty.